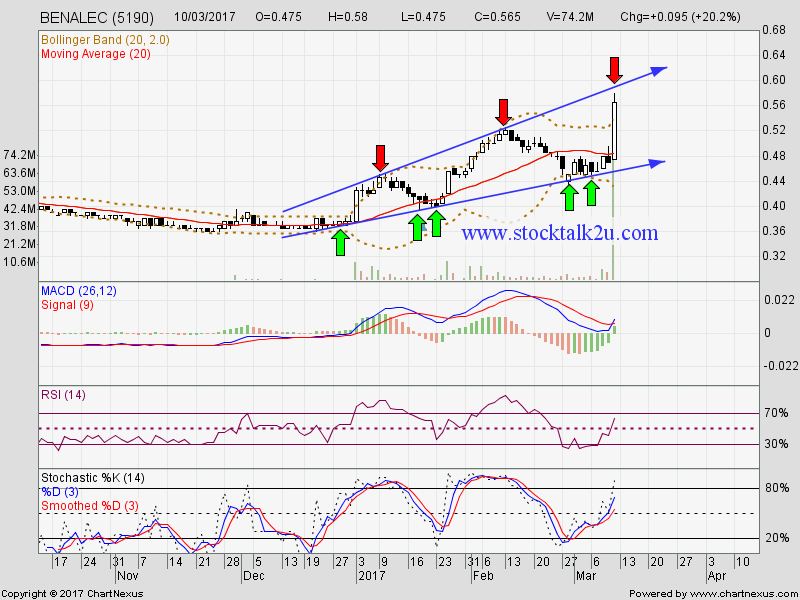 BENALEC forming higher high & higher low. 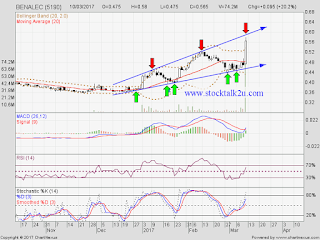 Stochastic %K remain on BUY call itinerary. Immediate resistance @ RM0.65 level. Subsequent resistance @ RM0.74 level. Immediate support @ RM0.46 level. Subsequent support @ RM0.40 level.